Ranking REALLY close to eggrolls, chicken wings are among my favorite guilty pleasures. If I'm not bringing eggrolls to a party, I'm likely to to bring a combination of BBQ, Buffalo and Naked wings to accommodate all tastes. They are easy to make and everyone loves them... well for the most part, I've actually met some people that do not eat meat off bones (Ribs, wings, etc). At almost every single family gathering, we buy chicken wings by the case to feed the whole army. If I'm not making the wings myself, I'm always on the lookout for deals or new flavors that I can try. Needless to say, I was very EXCITED to hear about the new Wings Over Lowell opening during Folk Festival weekend in Downtown Lowell. After much anticipation, the Mo and I finally made our way to Downtown Lowell to sample the menu. 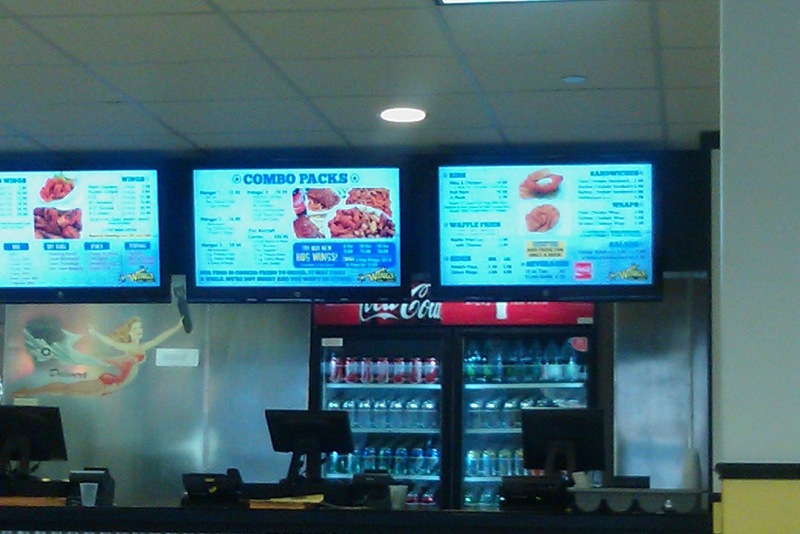 After what seemed like many minutes of viewing the menu displayed on the LCD screens and letting other customers go before us, we finally made up our minds and placed our order. We got the F-16 (15 Wings), Cajun Waffle Fries with Cheese, and a 2 Liter of Diet Coke which came to about $19.00. 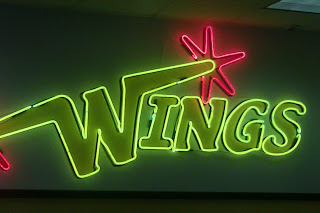 There were just too many flavors to try and they allow 1 flavor for every 5 pieces of wings. Since the Mo loves hot spice, he insisted on the "After Burner" and we also tried the Spicy Teryaki and Golden BBQ. 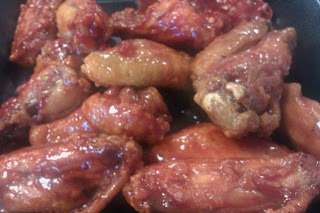 Although the wings were meaty and the textures were right on, the flavors were not that impressive. The Mo complained that the "After Burners" were not hot enough and seemed like it was just dressed in the same Huy Fong Chili Garlic Sauce we use at home. Since my tolerance of chili is not where his is, I took his word for it. The Spicy Teryaki didn't resemble any teryaki sauces that I was used to and the Golden BBQ flavor was a bit too tangy for me. Maybe next time I will try the Honey BBQ instead. 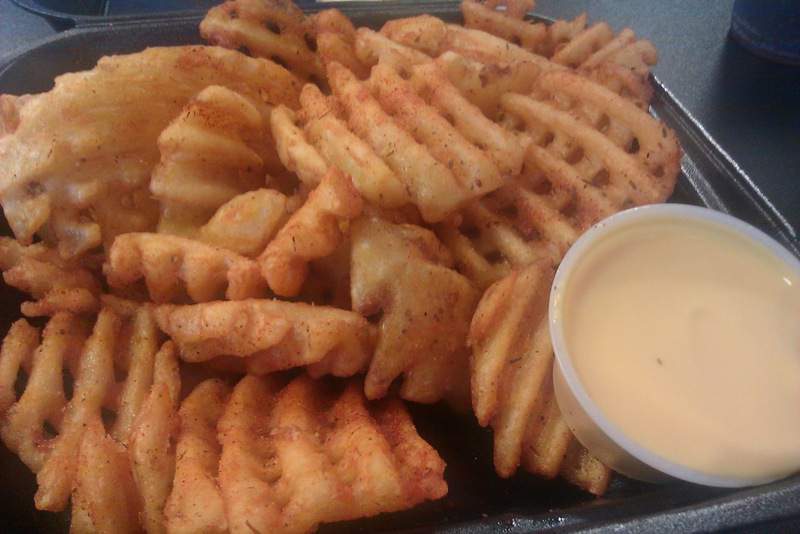 I must admit that they Waffle Fries were amazing! They were fried to perfection and had the right amount of Cajun seasoning! For the optional seasoning, you can choose from Ranch, Cajun, Mesquite, Seven Pepper and Garlic Parmesan. The melted cheese dip ($1.00 extra) was a great compliment to the fries and we didn't even require any ketchup! They looked pretty busy, after all it was a Friday night. 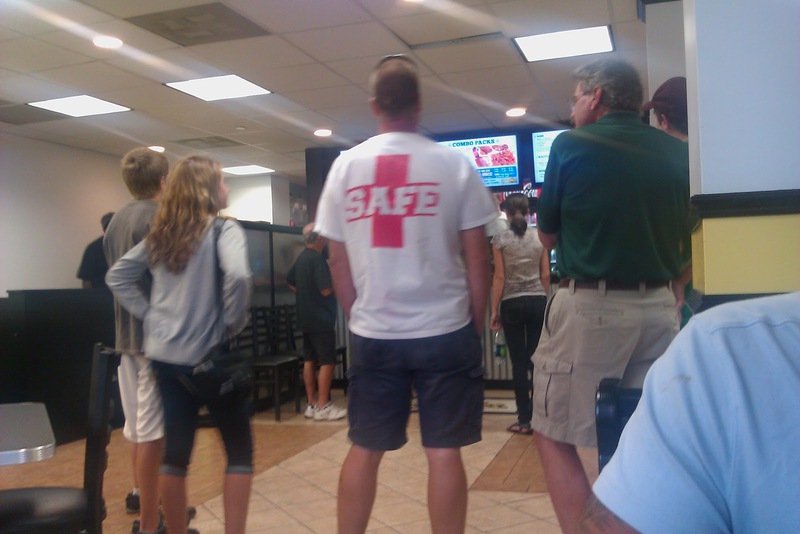 As we sat and ate our meal, I noticed that the establishment was very popular with takeout orders with the phone constantly ringing and people walking in to pick up their orders. The delivery service seems to be popular also, I noticed they had at least 2 drivers running in and out and they also had a sign posted for more drivers wanted. With its late hours and nearby proximity to the Umass Lowell Dorms/Conference center, Middlesex Community College and Lowell High School, I truly believe this franchise will be a success! Note: Parking in Downtown Lowell can be tricky and its usually a hit or miss. Obviously this will be not a problem for students or Downtown Lowell employees. Dedicated goers can shell out a few bucks and park at the Leo Roy Parking Garage, literally 2 minutes down the street. If you haven't already hit up "Wings Over Lowell", what are you waiting for? I'm not sure if they still do it, but there was a Waiver Wing Challenge where you had to sign a waiver and eat a certain amount of wings in under 30 minutes. Many tried and many failed. Sorry Dominos, you were able to revamp your pizza with the garlic crust, but your wings are still sub par. They are usually soggy and smothered in a thick sauce. That just doesn't do anything for me. 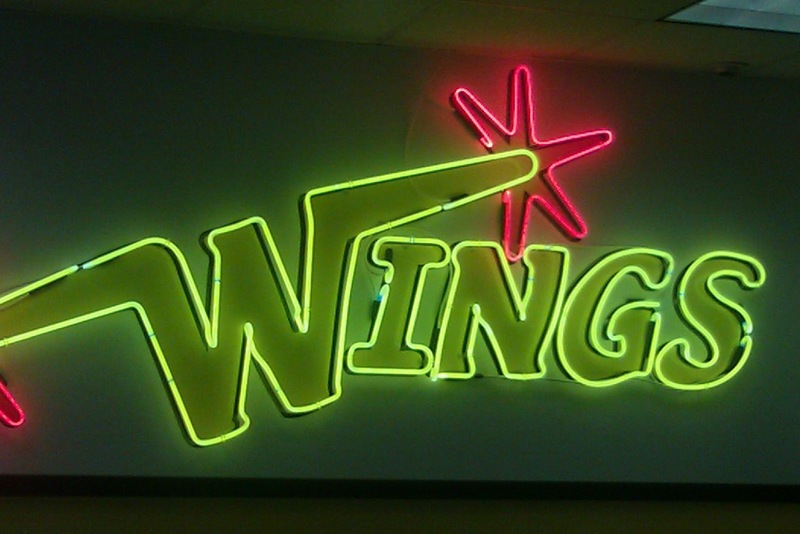 Where is your favorite place to go for wings? Irene Won’t Stop Me from Cooking! "Game Night" Catered by "Tar-Jay"